"Never let anyone make you feel ordinary." I'm so pleasantly surprised by this book. I knew the summary but I didn't know how thrilling it was going to be, what direction the story would take, and the beauty, complexity, and truths of the mysterious woman it's centered around. Actress Evelyn Hugo, born Evelyn Elena Herrera, the daughter of Cuban immigrants and born in Hell's Kitchen, fought tooth and nail to rise to stardom and then to legendary status over the years. She captivated Hollywood with her beauty and ability to steal the scene in every motion picture she was in. She's also notorious for her seven marriages throughout her life. But then you learn that maybe the story we "know" about Evelyn isn't the whole story. And maybe the Evelyn the world knows isn't the real Evelyn at all. 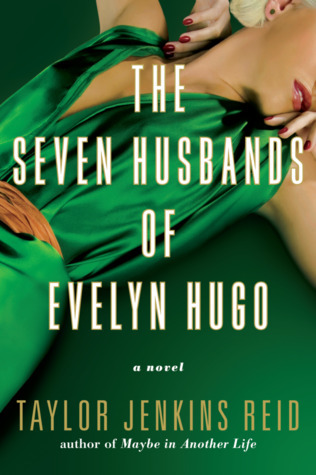 Evelyn decides she wants to get the story straight in her old age and enlists unknown writer Monique Grant with a deal of a lifetime to help. And so she tells her full life story. We go through two different timelines, starting from the beginning of Evelyn's own story in the 1950s and the present in 2017 with Monique interviewing Evelyn. Throughout the story, Monique forms a kind of bond with Evelyn but wonders why her, of all people? And it seems clear that there is something that connects them but what could it be? We learn about Evelyn's career, struggles, decisions, ambitions, friendships, regrets, vulnerabilities, and the best part of the story: her great love. Evelyn is such an interesting character and I really liked getting to know her. No, she's not exactly the most moral person but she owns up to it and her choices and I gotta admire that. She's independent, ruthless, and determined. Throughout her life, she formed some friendships that made me choke up as the story went on. ALSO just wanna throw in there that I really, really liked Monique as a character and loved loved loved her growth throughout the story. She had such a strong voice and I could just clearly see her in my head which was great. The characters are truly the ones who had me keep flipping pages at a ridiculous speed. They just absolutely came off of the page and felt real. "I'm under absolutely no obligation to make sense to you." I wanted to stand up and clap at several parts. This is about a woman who had to make some hard decisions to get where she wanted to be in life (especially because of the time she's from) and wasn't apologetic about it. It also discusses the complexity of sexuality and how it's a spectrum. It has characters that are lesbian, gay, and Evelyn herself is bisexual. It portrays a beautiful unconventional (esp for the time) family. I really enjoyed reading these parts, too. It was so hopeful and genuine. This book discusses social justice, sexism, homophobia, biphobia, racism, how controlling Hollywood can be (and how it connects to the subjects I just mentioned), and the strains society puts on families to be "traditional”--whatever that means anyway. All of it was challenged. I think the commentary on these issues were on point. I can recommend this to anyone interested in old Hollywood, morally gray characters that will tug at your heart strings, and a good, slow-burn of a love story. AND THAT LAST LINE, THOUGH. Not over it. I finished the story with a big smile on my face. This is an emotional, unique, fast-paced read. It's great. Taylor Jenkins Reid, I am so happy you wrote this! Such a marvelous story. I won't be forgetting this one. 37.5% "I love this... so much."